Oil held losses near the lowest level in more than two months as Saudi Arabia pledged to offset any supply shortfalls and as global investors shunned risk assets. Futures in New York were little changed on Wednesday. Prices retreated about 4% on Tuesday following a tumble in American equities, which later pared losses. The Organisation of Petroleum Exporting Countries and its allies are in a “produce as much as you can mode,” said Saudi Energy Minister Khalid Al-Falih. An industry report that points to rising US crude inventories added to concerns over excessive supply. Oil has slumped about 13% after reaching a four-year high earlier this month as US crude stockpiles continue to grow at a time when an ongoing trade dispute between China and America threatens to hurt global growth that underpins energy demand. Still, traders are concerned about whether OPEC and its partners can fill supply losses from Iran as renewed US sanctions on the Islamic republic are set to take effect in November. West Texas Intermediate for December delivery fell as much as 33 cents to $66.10 a barrel on the New York Mercantile Exchange, and traded at $66.56 at 3:18 p.m. in Tokyo. The contract slumped $2.93 to $66.43 on Tuesday. Total volume traded was about 4 percent above the 100-day average. Brent for December settlement traded at $76.75 a barrel on the London-based ICE Futures Europe exchange, up 31 cents. The contract dropped 4.3% to $76.44 on Tuesday. The global benchmark crude traded at a premium of $10.19 to WTI. Saudi Arabia can boost its crude production from 10.7 million barrels a day, near an all-time high, to counter supply losses from Iran, Saudi Minister Al-Falih said at a conference in Riyadh. Meanwhile, Russia suggested its current output level is higher than September. 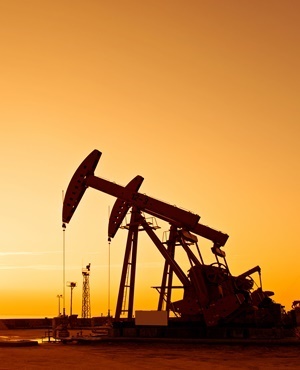 Saudi Arabia, Russia and allied producers need to pump at historically high levels to make up for declines from Venezuela and Iran, UBS Group AG analysts said earlier this week. The bank expects Brent to trade at $85 to $90 in the next three to six months. In broader markets, equities stumbled on concerns about the outlook for corporate earnings in an environment of tightening financial conditions. The MSCI Asia Pacific Index is close to entering a bear market, while US equity futures fluctuated on Wednesday after a rally late in the day on Tuesday that dragged the S&P 500 up from declines of more than 2%. Meanwhile, US crude stockpiles increased 9.88 million barrels last week, the American Petroleum Institute was said to report. If data from the Energy Information Administration confirms that Wednesday, it would be the largest gain since February 2017. Oil inventories are forecast to have risen 3.7 million barrels in a Bloomberg survey of analysts. Other oil-market news: Ecuador expects oil production to reach 540 000 barrels a day by the end of the year once bottlenecks are resolved, Oil Minister Carlos Perez says in a speech at an industry conference in Quito. The US received 3.22 million barrels of Brent crude so far this year, the largest intake since at least 2013, according to Customs data compiled by Bloomberg.